Mortgage Counseling Services You Need- Find Out All About Them Here! Many people wouldn’t be able to afford a home without mortgage loans. Mortgages might come with some disadvantages, but are a great way of making sure that you have a roof over your head, and something to leave your kids. Paying off a mortgage is a great feeling, the feeling that you are truly a home owner, but getting there requires some careful budgeting, because there will always be the risk of not being able to afford paying your mortgage anymore and losing the home. Being a responsible home owner is mostly up to you, but looking for help when you think you need it is nothing to be ashamed about. Just like marriage counseling can save a marriage, mortgage counseling can help you make the best decision regarding what type of loan to take out and what you can do to make sure that paying off your mortgage goes smoothly and with no major problems. Home buyers who receive mortgage counseling prior to making a home purchase are less likely to default on their mortgage, and less likely to even be late or miss mortgage payments. You have many mortgage counselors to choose from if you need help understanding your mortgage or making sure that you make the right choice, but it is recommended that you visit a counselor that is government approved. By doing this you are making sure that you receive the most up to date and complete information. Before setting up an appointment with a mortgage counselor, make sure that you gather as much information as possible about your mortgage, account balances and debt, income, and find your most recent tax return. Being able to show all this info to your counselor will ensure that your paperwork will be filled out much easily. These documents will also help your counselor work with you to determine a budget that accommodates your financial situation and needs. 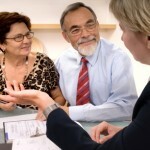 Here are the most important services that mortgage counseling organizations are offering. Pre-purchase mortgage counseling. Many home buyers need help in deciding which type of mortgage loan to choose. Making sure that you pick the right one, with the right terms, is probably the most important thing you can do when shopping around for a mortgage loan. The down payment that you will have to make, the interest rate that you will be paying, the length of the repayment period, and all the fees that you will be paying must be discussed before you decide on a loan, in order to find out if that type of mortgage will be right for you. Post-purchase mortgage counseling. A large part of your income will go towards paying your mortgage each month, and some home buyers might find that a little overwhelming. Post-purchase counseling can help you better manage your monthly expenses as well as give you advice regarding mortgage refinancing and other loans that you can take out. This type of counseling is also very important, and can make a big difference if you are struggling, or are unable to make a decision regarding your mortgage loan. Mortgage refinance counseling. Refinancing is a great way of lowering your monthly mortgage payments by taking out a new mortgage loan to replace your current one. Unfortunately, refinancing is an expensive process which can actually end up costing you more than you expected if you are not sure what you are doing. A refinance counselor will work with you to determine if refinancing is the right step, and how much you will be saving over your current mortgage rate. Mortgage default counseling. At one point during your life, you may encounter some problems that will make paying your mortgage difficult. In order to avoid foreclosure, you can hire a mortgage default counselor, who will help you address the problem in the best way possible. When faced with losing your home, it would be better to get professional help than to try to do things yourself. Receiving the proper help in this situation can make a big difference and your chances of keeping your home will be much higher. Unless you feel that you have good knowledge on the subject, mortgage counseling services can be very helpful and save you money and trouble in the long run. Being prepared when the time comes to take out a mortgage loan or refinance your mortgage makes a large difference over going in blindly and ending up losing money, or even your home. Mortgage counseling services are designed to help you become a home owner, and deal with the problems that may arise in the life of a home owner.